I'm a huge fan of birds on book covers. (Obviously - I am a Lark after all.) 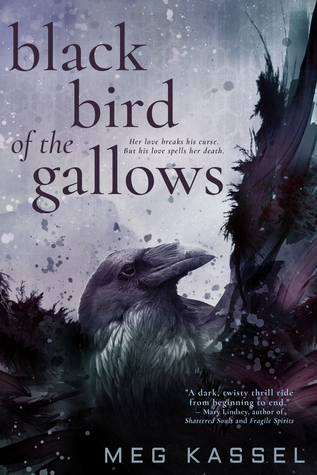 I love the details of the black bird that graces this particular cover. The colors are stark and somber which leads me to believe this is not a happy tale, but rather one that is perfect for October nights as the temperatures begin to drop. I've also grown up hearing stories about how crows are symbols of impending death; the blurb for the book backs up my hypothesis that this novel will revolve around death in some way. The title also gives that away as gallows aren't known for being particularly pleasant locations. I also love the title font. I'm intrigued that the title has no capital letters.